Probably the next step in decorating your Christmas tree is to use projection mapping. If you're the adventurous type and know a little bit about programming, you might consider doing this method to impress your neighbors. 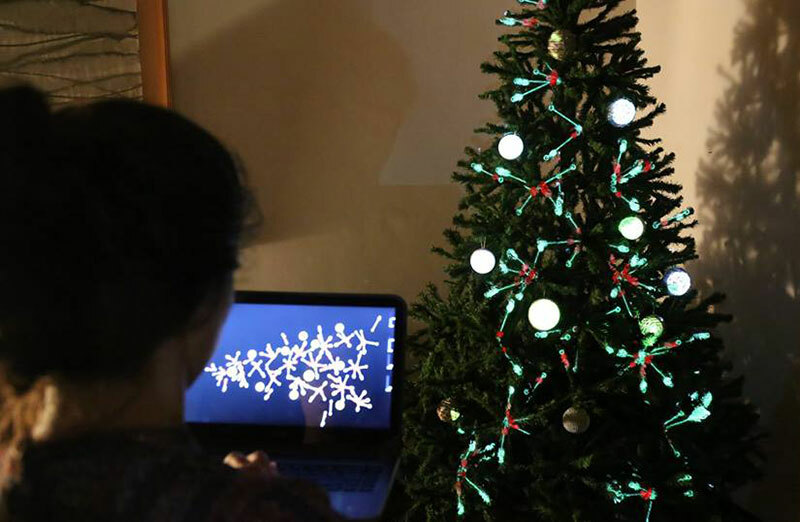 Brazilian design studio Ambos made this Christmas tree come alive by modeling it in 3D and using the popular Processing programming language. This will likely become a common sight in homes in the near future although you still have to put up the Christmas tree ornaments. Probably the next step in decorating your Christmas tree is to use projection mapping.